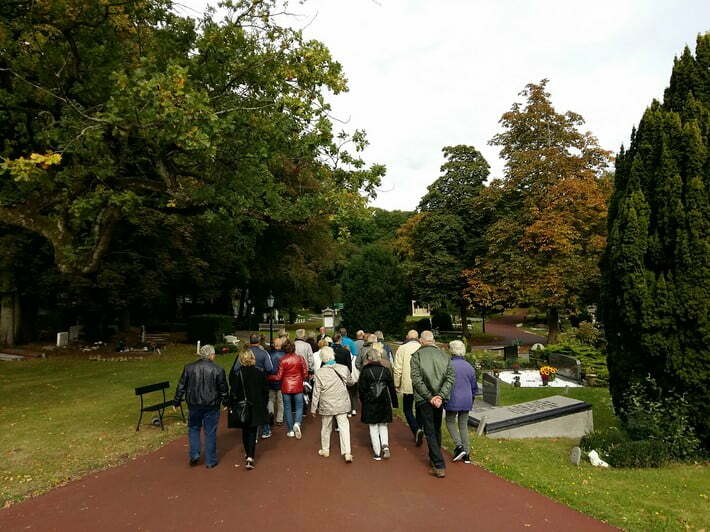 On Sunday 9 October, Westerveld Cemetery & Crematorium organised an autumn walk in which more than a hundred people took part. A horse tram took visitors to and from the Leven & Sterven (Live & Die) trade fair, which also took place that Sunday. On the same day, a funeral fair – Leven & Sterven – was held next to Westerveld at the Duin & Kruidberg country estate. Westerveld was also represented at Leven & Sterven and visitors were taken to and from the trade fair by horse tram.